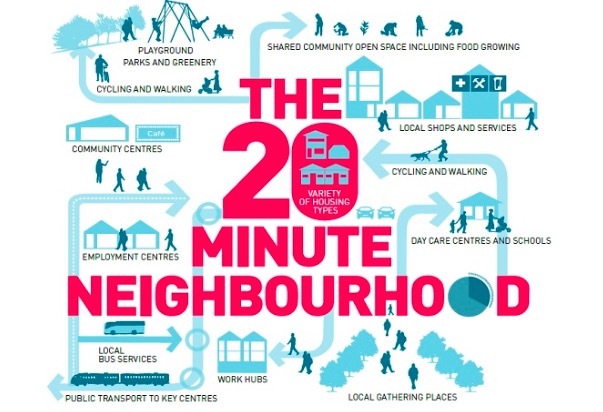 Social sustainability tells us that a 5 minute/20 minute neighbourhood is better those where people have to travel very far from home to their place of work and leisure. Why is this important and how far away is today’s urban planning and infrastructure in achieved this vision? For many years, the automotive has allowed people the opportunity to live further and further away from the city centre, to send their kids to schools outside their local community, reduced the use of public transport and increased the reliance on cars. Increased studies on this ‘way of life’ shows that there are significant costs both economic and environmental, but most importantly, social and cultural impacts that erode personal well-being and health. Changing values must be met with alternative lifestyle options embedded in urban planning and modern architecture. With more and more people moving to urban centre, the increase in population can not support an expanding urban perimeter where outskirt suburbs have lower access to quality healthcare and essential services. The continual conversion of land use to suburban communities also compromises agricultural productivity and food source from which the urban community depends. Furthermore, the large housing designs or both inefficient and inflexible. Large houses have a big amount of unused space which in turn increases the energy and water requirements, thus costs, while producing excessive waste. 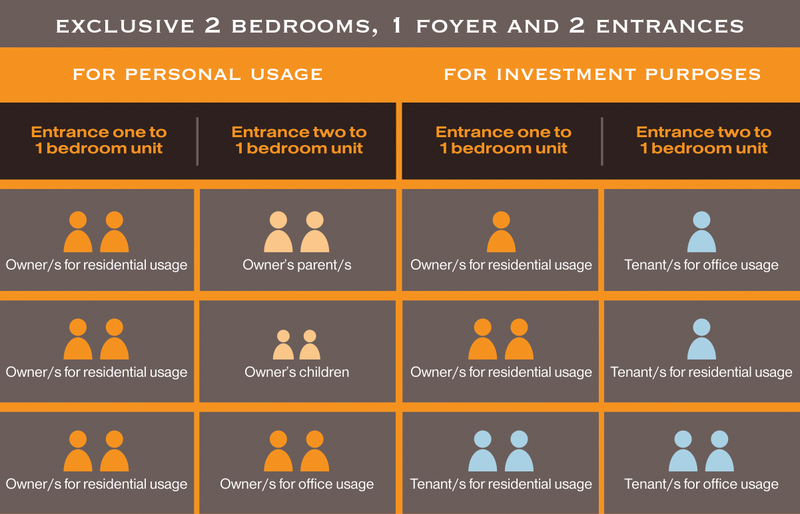 Inflexible designs also removes the owners ability to convert the unused space to leasable space for rental income. Houses are getting bigger and with little customisation available to construct homes that are appropriate for the site’s orientation, surrounding geology, etc. Apartments are getting smaller without windows in rooms and poor ventilation. How did building become this way? What is driving this type of design behaviour? How much space do occupants really need? These trends are not so different in Australia with children living with their parents for longer periods into their adult life. Understanding the design concepts of other nations can provide valuable insight on how current designs are no longer meeting current needs of occupants. 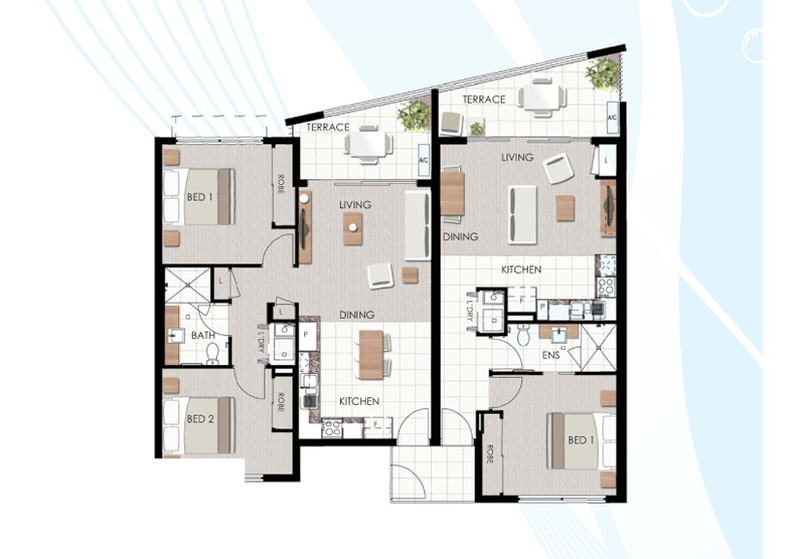 Configuration of 1 foyer and two entrances allow the property to be use for both personal and investment. Overall, the design ensured that all space is maximised and used. It also provides flexibility of the space. The way that the various rooms, such as bedrooms and living areas are positioned, allows rooms to change function very easily i.e. living to bedroom or vice versa. The high density living and shared walls also means that there is less heat transfer and reduces heating/cooling requirements. These changes can increase urban density at lower cost and allow people to live closer to urban centres and to maximise the current built environment. These retrofits can be used to convert existing built stock to multi-occupant homes without compromising comfort. Design needs to re-assess the future of the planet and how its occupants can imagine the built environment to suit their needs. Only this way, can civilisation continue to maintain a good quality of life within the ecological and economic boundaries of modern lifestyle. Innovation and challenging the status quo will be the only way to design solutions for tomorrow. This entry was posted in Lifestyle, Smart house and tagged 20 minute neighbourhood, Flexible floor plans, flexible home layouts, japanese architecture, Multiple Generation Buildings, social sustainability in buildings. Bookmark the permalink.